Left: An 18-year-old Ryan Booth at the Youth America Grand Prix ballet competition in New York City (Contributed photo). Right: Symphony Nova Scotia's The Nutcracker. Like most students, Ryan Booth gets nervous before writing an exam. “It doesn’t matter how prepared you are, the first five minutes will always be anxiety-ridden and then you relax into it,” says Booth, a second-year student in Dalhousie’s undergraduate Medical Sciences program. He likens the feeling of taking a test to experiencing stage fright ahead of a performance, and he's uniquely qualified to make that analogy. Prior to entering Dalhousie, Booth enjoyed nearly a decade-long career as a professional ballet dancer in Canada and Europe, where he appeared in classics like Swan Lake, The Nutcracker and The Sleeping Beauty, as well as other neo-classical and modern works. While Booth's "days in white tights" are over, Symphony Nova Scotia's The Nutcracker returns to the Dalhousie Arts Centre from Dec. 7 to 16, and features performers from Halifax Dance and Mermaid Theatre of Nova Scotia. Born in Victoria, B.C., Booth and his family never stayed too long in one place, moving throughout Canada, the United States and Europe due to his father’s job in the Canadian Navy. While he skated and dabbled in gymnastics as a kid, he got his first exposure to dance as part of Halifax Dance’s summer intensive program in 1998. Soon after that, Booth and his family moved from Halifax to Colorado, where, after some initial reluctance, he discovered a passion for classical ballet. "In Colorado, I was a competitive figure skater and danced on the side," Booth says. "My coach was always telling me it was important to take ballet. I said, 'I'm not doing that; ballet is for girls.' I gave in, took a class, and loved it." "At that age, I wanted to be on stage performing. As a kid, I would always put on productions in the living room during my parents' dinner parties. Sometimes I'd make my mom reschedule dinner depending on my performances." Booth decided to study ballet abroad during his high school years. He auditioned for the National Ballet School of Canada in Toronto before entering ninth grade. While hurt by the rejection, he didn't give up his dream of becoming a professional ballet dancer. Instead, he enrolled in the Royal Winnipeg Ballet School, a four-year experience Booth describes as "probably the hardest of my life." "Getting up and starting class at 8:30 in the morning, dancing for four or five hours, going to school in the afternoon, going back to dance, then homework at night. Doing that five or six days a week - it's rigorous training," he says. "You're pushing people to be the best athletes they can be and the best artists they can be. I had a teacher who said you have to love the work, because it's not an easy industry." After completing his professional training in 2008, Booth's young career came full circle when he returned to audition for the National Ballet of Canada and was hired into an apprenticeship program. Following four years with the National Ballet, Booth decided to set out on his own and seek a new path overseas. After a "very weepy goodbye" with his family at Toronto's Pearson International Airport, Booth travelled to Europe in job-hunting mode, and with no fixed address. As luck would have it, he was hired by the first company he auditioned for, the Vienna State Ballet in Austria. Booth ultimately stayed with the company for four years and came to enjoy life in Europe, making it a priority to explore and travel the continent during his free time. The experience of living alone in a new country proved a surprisingly easy social adjustment. 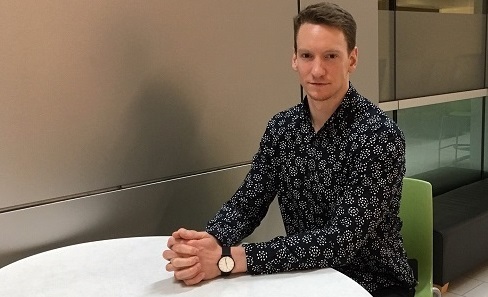 “Most people working in a ballet company are young internationals, so it’s easier to find friends than it would be in a normal workforce,” he says. He also began to contemplate leaving ballet behind to study, despite estimating that he could have danced for another six to seven years. Booth opted for a change of scenery, auditioning for and landing a job with the Royal Danish Ballet in Copenhagen, Denmark. While he enjoyed his time in the Danish capital, adding "the Danes really have it figured out, with how the city is designed, with how bike-friendly it is," Booth decided he would attend Dalhousie University in fall 2017. Booth says he's always lived somewhat of a nomadic existence, but admits "Halifax does feel like home," which made it an ideal place to come back to, especially since his family lives here. Originally, Booth thought he might study finance or business management. Instead, he found his interests shifting toward medical sciences. Booth enrolled in the Medical Sciences program, which helps prepare students for professional schools, including Dalhousie Medical School. He has no regrets over choosing to leave his old life behind. "The more I delve into my studies, the more I see my interests are aligning with the program," he says. "I see it as a viable path forward." Booth stays in touch with the local dance community, and teaches weekly classes at Halifax Dance and the Maritime Conservatory of Performing Arts. "Being able to keep connected to what I know has been comforting, as is being able to share it with the next generation," he says. He sees a lot of similarities between his past and future professions. "Art and medicine share a lot of the same ideals; at the core of both is humanity. A lot of artists seek to resolve their humanity, and a lot of people who work in health care seek to better someone's humanity. For me, bridging the gap is a really interesting avenue."